Update (2 November 15) - This offer appears to have been pulled. As of this morning, using the MileCards.com link below returns the standard 15,000 point signup bonus. Earlier this month I was scanning through my Feedly list of points and mile blogs I follow, and I came across a couple of entries that intrigued me. Since I had recently met the initial spend requirements on my Citi ThankYou Premier Card, I was ready to find my next rewards card. MileCards.com posted about a 30,000 point signup bonus for the Amex Everyday Preferred credit card. This card was already on my radar thanks to several articles I had read that reviewed its excellent bonus category and points multiplier feature. MileCards also wrote about a new 50,000 offer for an Amex Delta SkyMiles Gold card. Living in Atlanta and flying primarily on Delta, I had been thinking of getting a new Delta card to bump up my SkyMiles balance that was depleted when I went to London in May 2014. I also liked the $50 statement credit for a Delta purchase. 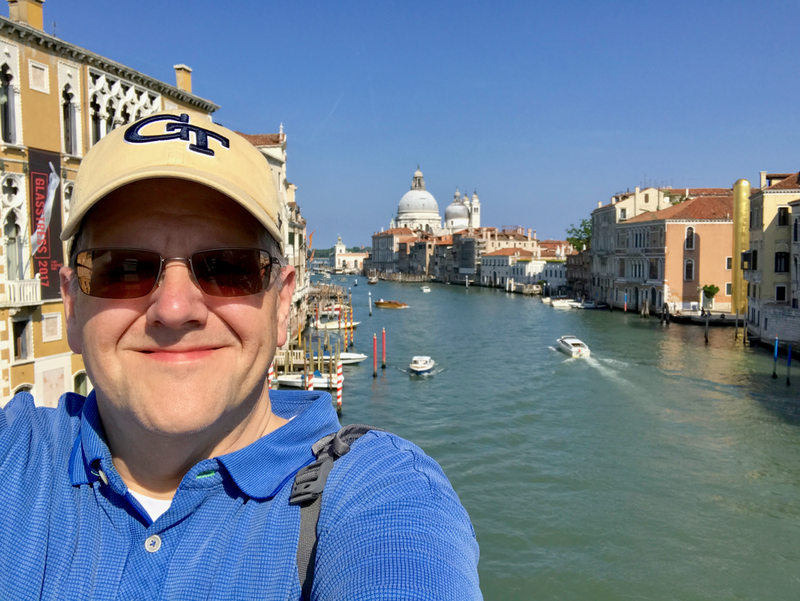 Since I will be flying Delta for a Georgia Tech football game soon, I thought that I could either buy on-board food or a day pass to the SkyClub and still make money with the credit. Late last week, I decided to go with the Amex Everyday Preferred card. My rationale was that the Delta SkyMiles card seem to offer a signup bonus somewhat regularly; before the current offer, a similar promotion was offered in June. Expecting a future opportunity to get an increased SkyMiles signup bonus but, without a similar track record on the relatively new Everyday Preferred card, not knowing if the same would be true for the Everyday Preferred card, I opted to pass on the Delta offer for now. The bonus categories and point boost from using the card frequently is what makes the Everyday Preferred card a truly everyday card for me. At a minimum you can earn 3x points for supermarket purchases (up to $6,000 per year) and 2x points at gas stations. The real value happens when using the card 30 times per billing cycle, which triggers a 50% bonus on all points earned that period. That multiplier effectively upgrades the supermarket and gas bonuses to 4.5x and 3x, respectively. Though I had planned to continue using the Citi ThankYou Premier Card for gas purchases given its 3x Citi Thank You points at gas stations, the effective rate with the 50% bonus makes the Amex card on par in this category. Also, the only card I have that offers a category bonus at grocery stores is the Chase IHG Rewards card which only offers 2x IHG Rewards points. Not only is the Chase multiplier lower, but the lower value of IHG Rewards points versus the value of American Express Membership Rewards points (not to mention the inherent lack of flexibility of a non-transferrable points program like IHG Rewards) makes the Amex card a no-brainer. The key is consistent use of the card. My plan is to continue using my Chase Sapphire Preferred card for dining purchases which would earn 2x Chase Ultimate Rewards points and my Citi ThankYou Premier for travel at 3x Citi ThankYou Points. However, as One Mile at a Time writes, sometimes it is best to sacrifice bonus points on individual transactions in order to maximize points across all transactions. Since many of my purchases do not fall into any bonus category on any card, putting my spend that does not otherwise qualify for a bonus on the Everyday Preferred card and reaching the 50% kicker threshold would essentially create a bonus category of "everything else" earning 1.5x American Express Membership Rewards points. It really is an ingenuous move by American Express to incent members to use the card for more than just purchases in certain categories. If you are interested in this card, one thing to keep in mind is that the offer for the Everyday Preferred card is targeted to those that are not currently Amex customers. A little "creative" use of browser technology is required for current Amex cardholders that want to take advantage of the offer. The Amex offer page for the Everyday Preferred card appears to use your cookies to check for recent logins to the American Express website. If you are already an American Express customer, you can open an incognito window in your browser to get the page with the 30,000 point offer to load. If you don't and the site detects you are already a customer, you will get the standard 15,000 point offer. Using Safari on a Mac, you can open a private window from the "File" menu's "New Private Window" option. If you are using Google Chrome on a Mac, also go to the "File" menu and select "New Incognito Window." For either browser, you can also use the Shift-Command-N shortcut key combination. If you are using Chrome on a PC, you will find the "New Incognito Window" option in the menu button to the far right on the address bar or you can use the Ctrl-Shift-N keyboard shortcut. Once into a private browser, open the offer page via this link (via MileCards.com) and you should see the enhanced offer. This method worked for many of the readers at FlyerTalk.com. As of today, this offer is still showing up. Post below if you have had success (or failure) accessing this offer.